These days, you mainly hear people recommending reducing carbs, particularly starchy carbs. 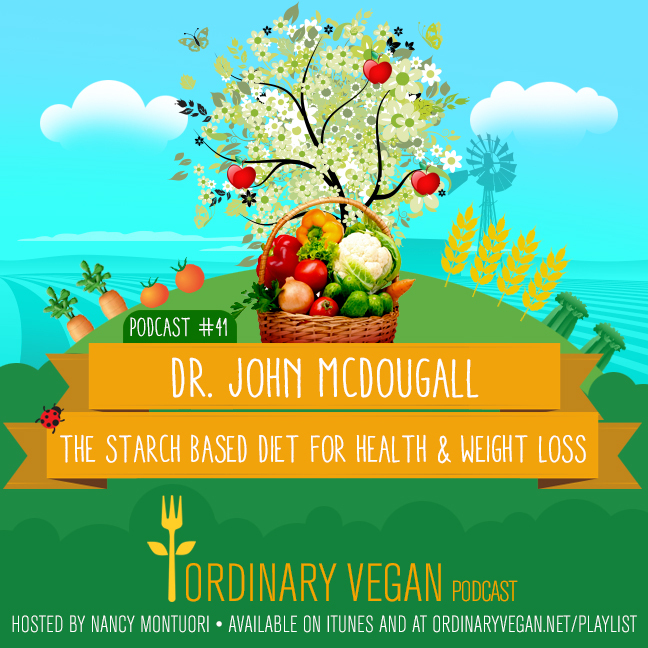 But Dr. John McDougall has experienced tremendous success with his chronically ill patients by emphasizing a vegan starch based diet. If you have never heard of Dr. John McDougall, he has been a pioneer in the plant-based wellness world for many years. As far back as the 1970s, Dr. McDougall began developing the starch based diet. It all began when he was practicing medicine on a sugar plantation in Hawaii. He observed the declining health of families who traded their starch based diet from their native Asian countries and began eating a typical Western diet of red meat, oils, and processed foods. The result was the Asian immigrants began to experience serious Western diseases like type-2 diabetes, obesity and heart disease which were unheard of in their native countries. So, Dr. McDougall began treating his patients with whole plant-based foods that were free of meat, fish, eggs, dairy, and oil. The diet was approximately 80% percent complex carbohydrates, 12 percent protein, and 8 percent fat. Spices and small amounts of salt and sugar were added for flavor. What Dr. McDougall discovered is that a plant-based starch based diet helped his patients lose weight and reverse their chronic disease. In 2002, Dr. McDougall began the McDougall Program in Santa Rosa, California. The McDougall program is a three or 10-day residential treatment program which features his plant-based, low fat, starch based diet. In June 2013, he released his best selling book “The Starch Solution,” which has sold over a million copies. His partner in life and wife Mary contributed recipes for the book. The “Starch Solution” is based on a simple swap; fueling your body primarily with carbohydrates rather than proteins and fats. Dr. McDougall's legion of followers says they have lost weight, boosted their energy and reversed their chronic disease like type-2 diabetes and heart disease. Hope you enjoy today's fascinating conversation with best selling physician and nutrition expert, Dr. John McDougall. The Starch Solution Book – Eat the Foods You Love, Regain Your Health, and Lose the Weight for Good!